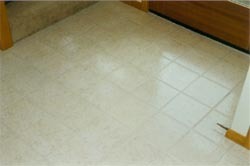 Regrouting large floors can be time consuming and extremely costly. 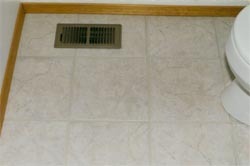 For this reason GroutPro uses new technology to restore the existing grout back to its original condition. 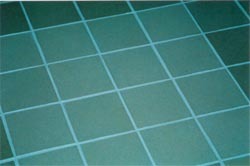 We can also change the color of the existing grout through a unique proprietary process. 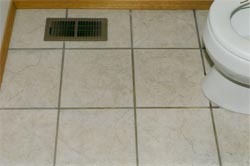 As always, once the process is complete the floor is then treated with GroutPro's Preservation One to lock the color in and keep impurities out. 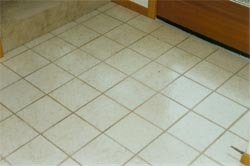 The result is clean tiles and uniform looking grout color for years to come. 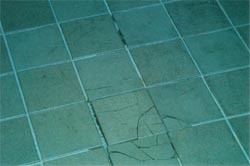 In commercial applications and some homes where mopping is the routine cleaning method, the floor may need to be redone periodically. This is because the grout is the lowest point and a build up of minerals, dirt and soap from the water will occur on top of the Preservation-One. Just as you can’t get water spots off of glass, which is totally non-porous, getting it off of the grout will be equally hard. To avoid this we recommend routine cleaning with a light solution of liquid dish soap and water. Then rinsed to prevent soap scum build up and then dried to prevent water spot build up. This is best accomplished with a wet/dry vacuum cleaner.